2016 was a truly amazing year of growth for Surgeons of Hope! February brought our first mission to Costa Rica, an impressive success that heightened our presence in Central America. In Nicaragua, the local medical team is now performing four surgeries per week on their own. Since its opening just three years ago, our new Pediatric Heart Center of Nicaragua has come a long way. In addition to teams from the US, we’ve brought teams from all over the world, including Spain, Portugal, Belgium, France, and Colombia. Overall, 16,000 children have been screened by our teams in Nicaragua and in Costa Rica, of whom more than 400 have been operated on. The positive impact on those children’s families is significant at so many levels, but the common denominator isSurgeons of Hope. Tomorrow, Pr. Dominique Metras will lead our last mission of the year, this will be his third trip to Managua. This mission is funded by a generous grant from our partner, Let it Beat Foundation. 10 Children will be operated on in collaboration with the local team, and dozens of patients will be screened. We have gained momentum thanks to your support, saving more children this year than in any prior year. Thanks to your generosity, we expect that number to grow in 2017. 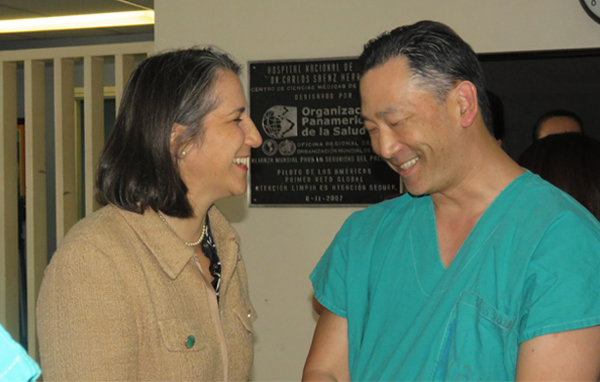 We are deeply grateful for your spirit, dedication, and commitment to Surgeons of Hope. We are excited and ready for what the future will bring, with your help! Your support means everything to us. The children of Latin America thank you! Donate to Surgeons of Hope and go to Carnegie Hall! If you donate between today and #GivingTuesday (November 29) you will automatically enter into a raffle for a chance to win a Pair of tickets to Virgil Boutellis-Taft’s concert at Carnegie Hall!